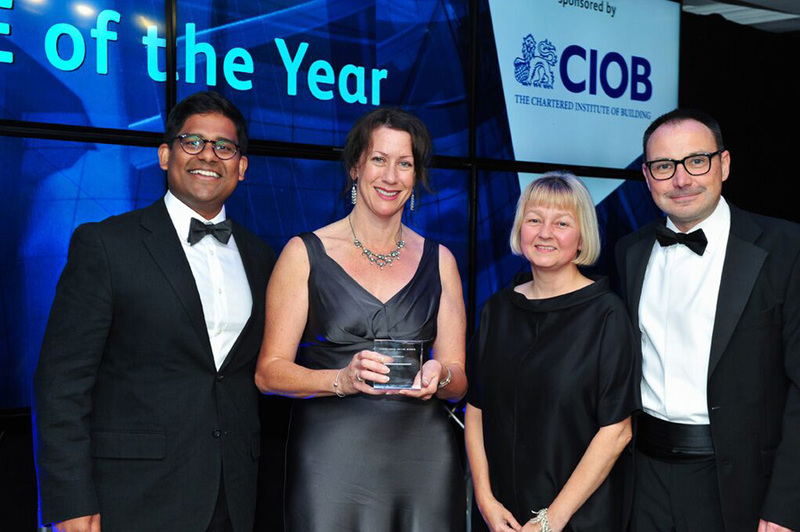 We are delighted to have won SME of the Year at the Constructing Excellence Awards (London and the South East). The CE awards recognise and promote the very best behaviours and practices that drive positive change in the industry, so we are extremely proud to have been recognised in this way. “DMA have taken a unique approach to stamping their mark on the industry. Developing an inhouse Best Practice Management system has provided a comprehensive tool that drives continuous improvement in all elements of the business. The team has a strong collective desire to sustain a thriving business and have created an exciting, dynamic and progressive place to work. “Recognising that changes in market profile with large multidisciplinary organisations sweeping up all the work were a threat to their growth, David Miller Architects set out to disrupt the prevalent procurement ecosystem and find their way into larger, complex supply chains. They identified the adoption of digital techniques as a major ‘disrupter’ and, whilst change management is the biggest challenge to any organisation, as a small company they had the advantage for rapid and agile repositioning. Through their approach, they are creating new opportunities to develop expertise; increasing efficiencies in the delivery of built projects and unlocking a raft of client benefits. In addition, collaborative working practices are enabling other SME suppliers and supply chain partners to advance alongside and they are making strides to bring young people, women and under-represented groups into the construction sector. More information can be found here and congratulations to all the other finalists and winners.